The trouble with having pretensions of being a writer is a) you’ll probably starve if you give up the day job and b) you just don’t get time to read books. I love to read. Not in that irritating way that some people profess it, like they’re superior to all other beings because they read a lot (most of us can read, y’know). I love to read because I love to escape. My real life is fine, don’t get any funny ideas, but I like to be lost in other worlds too – and as much as I like TV and movies, you just can’t achieve the same feeling of escapism by watching it on a screen. But because I write myself (did I not mention that before? 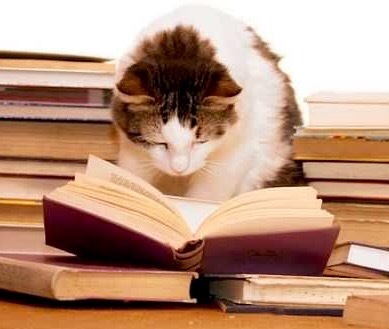 How remiss of me…), I don’t get to read as much as I’d like to. And I can’t help but think that Mr King’s citation above may have a point. I feel guilty about how little I read lately. And to this end, I now have three reading books simultaneously on the go. Here’s why; it’s time to support my fellow authors. Not the best-sellers out there with their hundreds and thousands of gushing reviews, and their hundreds and thousands of pounds; they can sod right off because they sure as hell don’t need my patronage (actually I’m reading some of theirs too, but I’m just not writing a blog about it). No, I’m talking about my writing compatriots, the authors I converse with out on social media, the authors who are in the same boat as me; who write for the love of it, but can’t exactly give up the day job either. So instead of continually banging the drum and ringing the bell about my own book (didn’t I mention I had a book out? How remiss of me…), I’ve decided to put down the percussion instruments for a bit, put my hand in my pocket and pay real money (and I don’t have Amazon Prime, so I mean ‘real’) for real people’s books. Like I always say, most Kindle books cost less than a cup of coffee. And this is not about checking out the competition (well, yes it’s a bit about checking out the competition, although I’d say these books are in a different genre from my own), but to see what it is that other self-published authors out there on the scene are doing. I’ve always shied away from the novella. I couldn’t see how you could cram an entire story with a beginning, a middle and an end into a 30-60,000 word book. I also worried about character development; how could fully-rounded protagonists be painted in such a short space of time? Well this book taught me how it’s done. A fun, concise and clever read by a fellow witty Brit (I’m not saying I’m witty, but I am British), who even managed to add a twist and knock the book off its expected course. I could never hope to write a novella myself, I much prefer labouring the point, I haven’t even warmed up by 60,000 words, but I enjoyed learning how one was put together. And there’s something good to be said of a man who can write romantic fiction. I don’t exactly know what that thing is, but somehow it makes me feel comforted that the romantic novel (or novella) can be written by anyone. I’ve only read about a third of this book due to my own writing commitments so I can’t give a accurate summary or succinct plot narrative (not that I’d give the game away), but suffice to say, I’m enjoying it. The novel is a murder-mystery set in the Deep South complete with realistic Alabama characters and accents. I like that the main protagonists aren’t your usual suspects; consisting of a shrewd and sprightly old lady, her homosexual son and his partner, not to mention their cool dog as a side-kick. 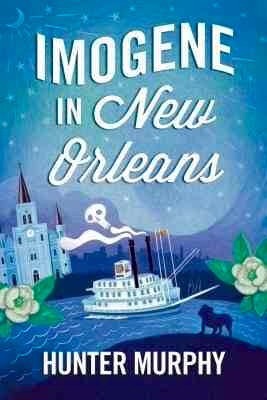 To sum it up in my own very inept way, it’s a bit like a Miss Marple mystery set in the blistering heat of New Orleans. The book has also opened my mind up to the option of writing in other genres too. I’m thoroughly looking forward to seeing how the plot unfolds and, most of all, who dun it! 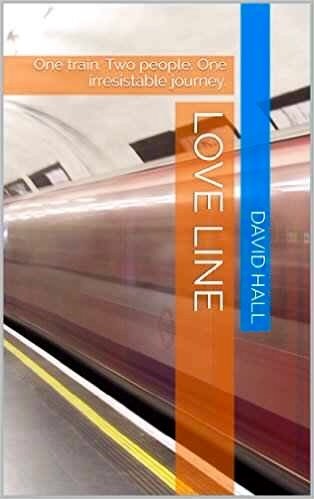 It’s difficult to put this book into a genre as, although it has a romantic theme running throughout, I don’t think the author would particularly choose to put it in this category. The novel also covers a lot of history and politics; facts I wasn’t aware of. It’s slightly daunting for me as a writer to see the amount of research that has gone into this work (research? What’s that then?). So I’m actually learning something, and let’s face it, I’ve plenty of room in my little brain for some schooling! 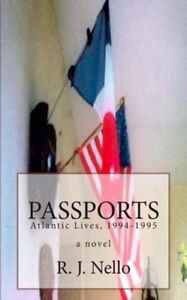 I’ve read about 50% of this book and I’m enjoying the storyline – the tale of two people from different parts of the world, with completely different backgrounds, fighting logistical obstacles and trying to find a way to be together. I’m not certain how this Americano-French (is that a thing? You can say Anglo-French, but…oh, never mind) relationship will pan out, but this educated author is going to teach me something along the way! So the above accounts are not even pretending to be book reviews (I’ll do proper reviews through the proper channels when I’m done – i.e. on Amazon/Goodreads where they count), I’m just letting you in on what I happen to be reading right now. And the fact that all three authors are men in no way reflects my reading-leanings; their gender is circumstantial. Next on my to-read list will probably be a lady like C. J. “Country” James, or S. M. Dahman or Richard G. Stevens or Jack Volante (oh wait, those last couple were men too! I really need to start conversing with a few more female authors on social media…). And I know an awful lot of writers with a book in progress or in the planning stages as well, so there will be a lot more books out there for me to read (oh my God, I’ll never get any writing done!). These are not people I know face-to-face, but good people I’ve met in the virtual world, kind supporters of an amateur writer like me, selfless givers of sage advice, all talented authors in their own right. And I feel honoured to rub my virtual shoulders with theirs, and call them my compatriots. I love to write, I wish I could write more, and writing books has to be my top priority. But I felt like it was time to stop harping on about me, me, me all the time and give something back to the writing community. I think it won’t be long before I’ve spent all my own royalties on other people’s books! Oh well, there are a lot worse ways to spend your money. And Starbucks coffee isn’t actually ‘all that’ anyway. PS: Soz. Yet another writing-based blog. Next week I promise we talk about cats. That hilarious cat blog has been waiting its turn for weeks! PPPS: Apologies Starbucks, if you wish to sponsor me, I’m all ears. I actually rather liked your Pumpkin Spiced Latte. It was very nice. If a tad sweet. ‹ PreviousCover Me, I’m Going In! I’ve got you guessing and unsure, I see. Excellent! Damn you to Hades!😉 Yep, I’m interested to see what happens next! (He’s in France now…). I know what you mean about the lack of time for reading. Unfortunately, even my novel writing has taken a back seat at the moment as most of my time is taken up with legal reading and writing. I will have earned that large glass (well bottle) of wine on a deserted Cycladic Island. (Thanks for the mention, by the way). I’m impressed that you find time to write a blog and a book let alone read 3 books at the same time! I too feel I read a lot more, now that I’m writing. I’m currently juggling two or three books too. Including re-reading all of JK Rowling’s HP series, since I want to learn from her writing on how/why she got it so right.